That wasn’t a typo, I meant to write cricket flour. Before you go thinking I’m totally loopy crazy, hear me out… a lot of cultures eat bugs. With a naturally sourced nutrient profile of B12, iron, calcium and 9 essential amino acids, perhaps we’re the ones missing out. Insect protein is 100% natural protein that’s chemical free, pesticide free and antibiotic free. And if you’re really not even remotely interested in hearing what I have to say about cricket flour, that’s okay. 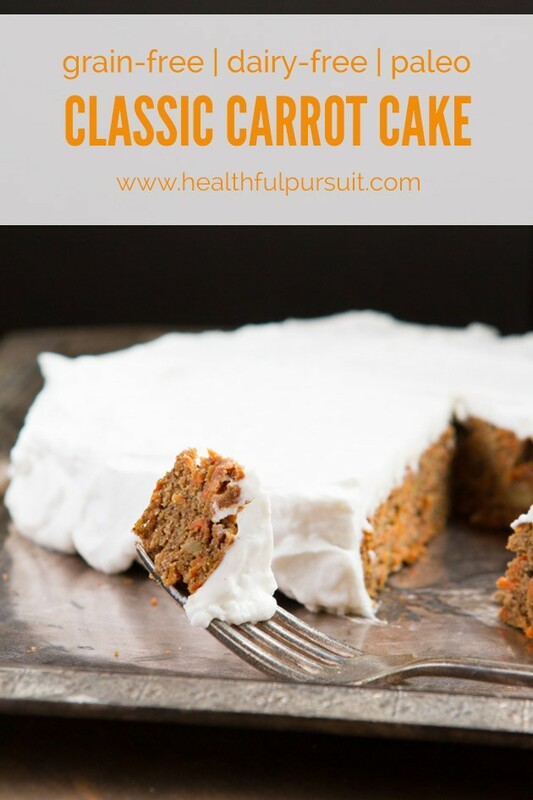 What I love about Healthful Pursuit is that I’m always trying new things, introducing you to products and avenues that may be of interest to you. You don’t have to like everything I put out there! 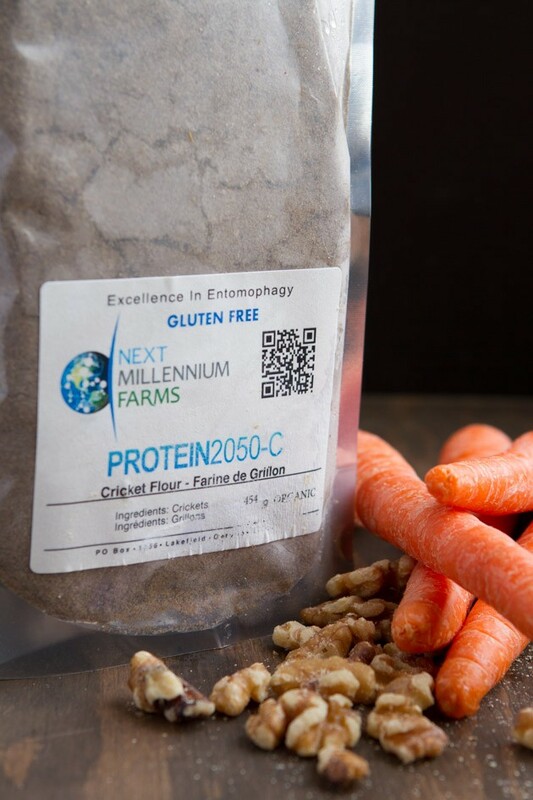 If you’re like, “bring on the bugs!”, Next Millennium Farms; the leader in producing sustainable proteins, has put together a sweet discount for our community so that you can try this stuff for yourself. Get 20% off all Next Millennium Farms products when you use the code HEALTHFUL at checkout. Valid for US and Canadian purchases. Expires March 31. Here’s the thing: by the year 2050, the world’s population will soar beyond 9 billion people, putting a fatal strain on resources. Next Millennium Farms carefully crafts their products as a response to that near-approaching reality while reducing our carbon footprint as a joined society. Next Millennium Farms utilizes a complete, entire chain organic protein farming process, as well as non organic protein process. They produce insect protein specifically and exclusively for human consumption. It is unique, innovative and extremely nutritious. The cricket flour I used in today’s recipe is from Next Millennium Farms. People with seafood or nut allergies might also have sensitivities to insects. All cricket flours are not created equal. The feed input is what controls the gluten in a cricket. If you are allergic/sensitive to gluten, crickets that have been fed a gluten-free feed is important to you. Next Millennium Farms’ gluten-free feed formula consists of corn, soybeans, flax meal, oats, peas, alfalfa and seaweed. Their feed is under 20ppm of gluten and their last test was “null” meaning there was no gluten in the final product at all. 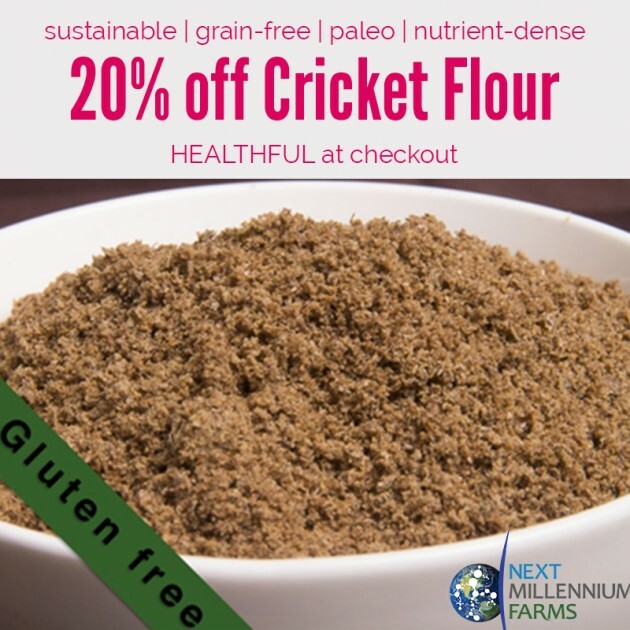 I have to admit… I was nervous to try cricket flour. I don’t like bugs, and the thought of chowing down on crickets didn’t sit well with me. So, I made cake. You know, mask the crickets with something sweet? A great strategy to encourage me to appreciate this flour for all that it is. 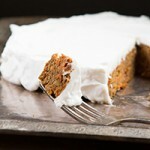 Note on maple syrup used in this recipe: my thing is whole food based, low carb, sugar-free recipes. But there’s maple syrup in this recipe, so what the heck? 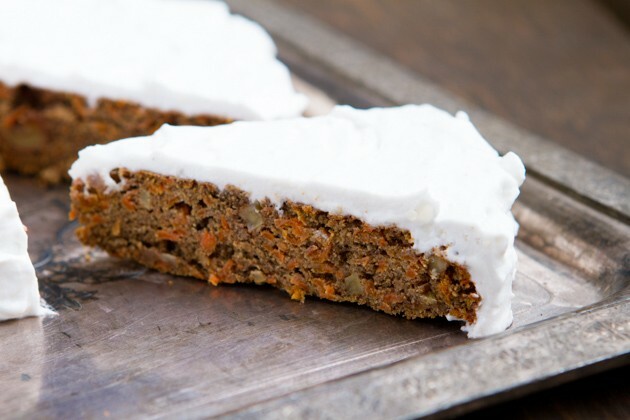 I made this cake recipe knowing full-well that I’d be enjoying it during my carb-up evenings. Every couple of days, after training at the gym, I eat carbs to reset my hormones and boost muscle building. More details coming to the Healthful Pursuit YouTube Channel in the coming weeks. 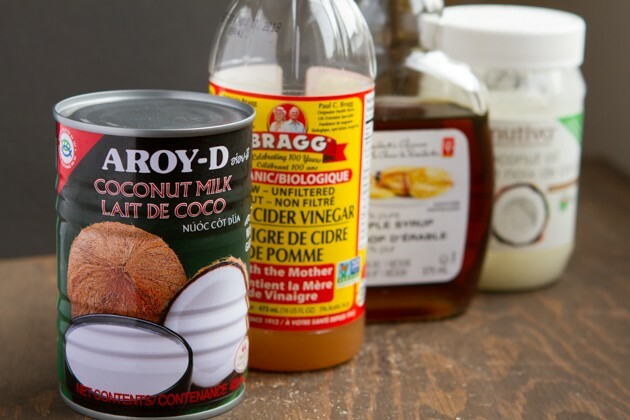 Of all the sweeteners out there; aside from dextrose, I feel best using maple syrup over fructose sweeteners like honey, coconut nectar and agave. So, that’s why this recipe has maple syrup in it. Cricket Flour: I don’t know how to make this recipe without cricket flour. Perhaps if you don’t want to try crickets you could keep this one in the back of your mind for one day that you do, or share it with a friend you want to surprise... this flour is supposed to be stored in the freezer and it likes to clump up. Use a potato masher to break up the clumps if needed. This is what cricket flour looks like with all of your dry ingredients. As I mentioned in the notes of the recipe, the flour clumps up when frozen, so best to break it up with a potato masher. 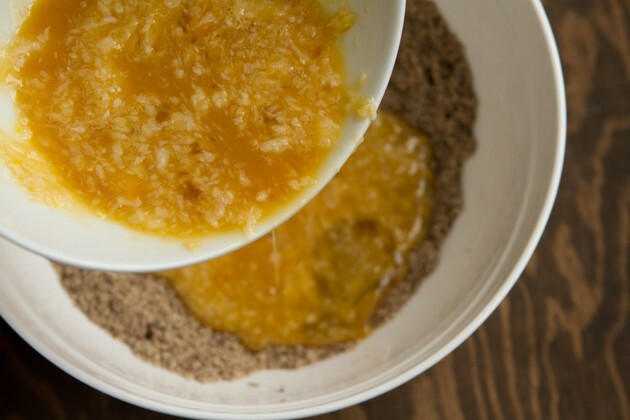 Add your wet ingredients to dry. There’s little spots in the mixture, the saturated fats from the tallow. 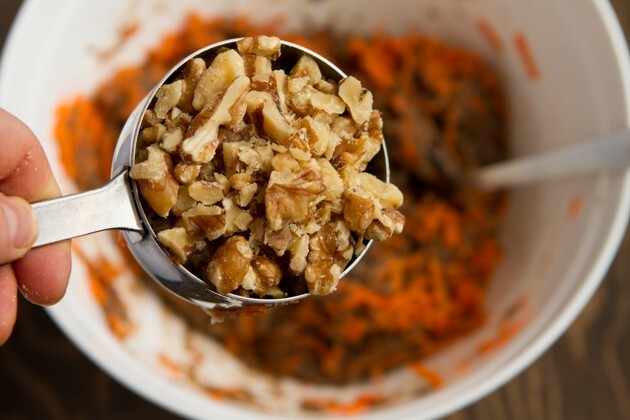 Stir around, then add your carrots and walnuts. 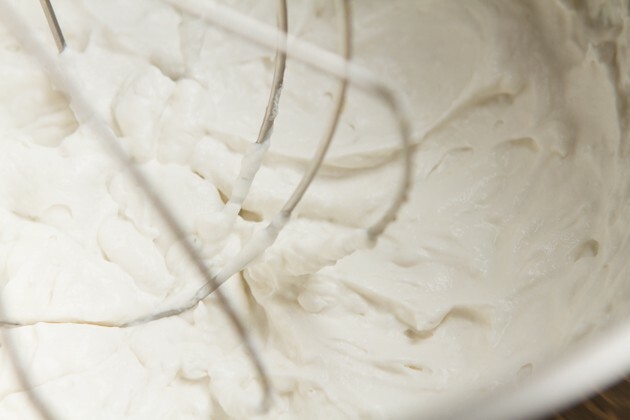 While your cake is baking, it’s time to make the icing! I prepared this recipe before I realized how sensitive I was to coconut. So, there’s coconut milk in this recipe. 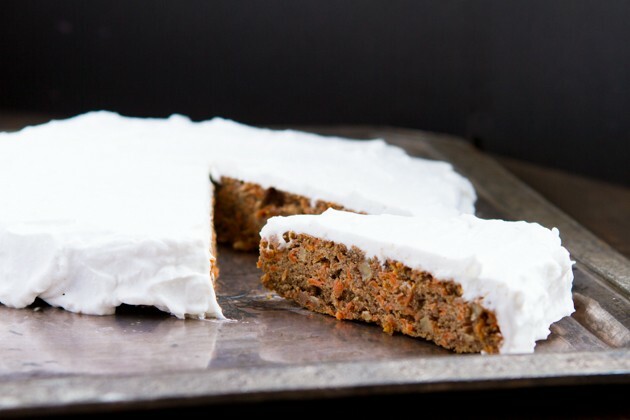 The cake is delicious without the frosting, if you’re sensitive to coconut, too. 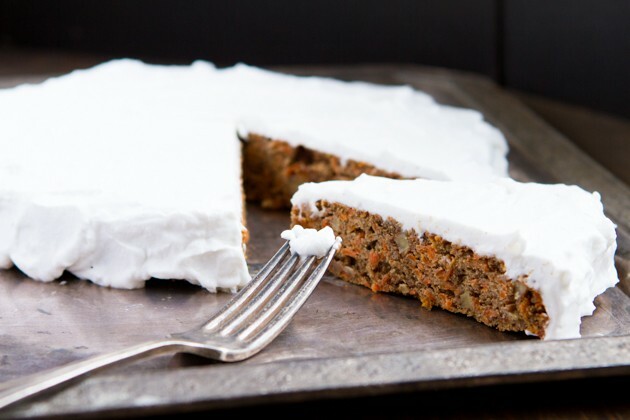 I used the thick cream of full-fat coconut milk for this dairy-free frosting. 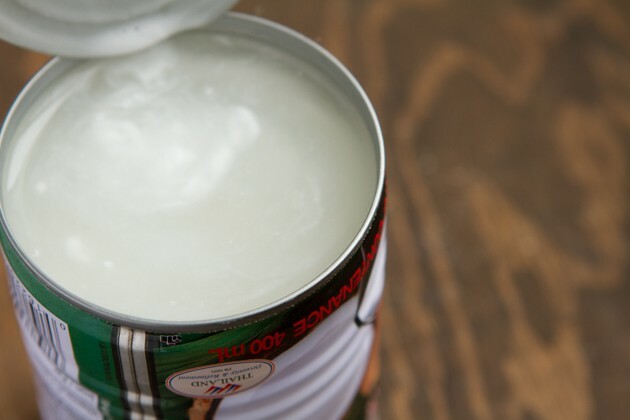 To do this, I chill the can overnight, then drain the liquid. See all that? You don’t want to use it for frosting! You could whip the frosting in your blender, too. It works great. 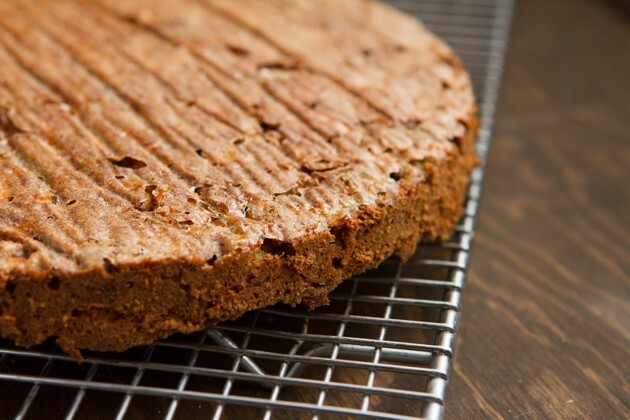 Once the cake has been removed from the pan and cooled, you’re ready to frost it! 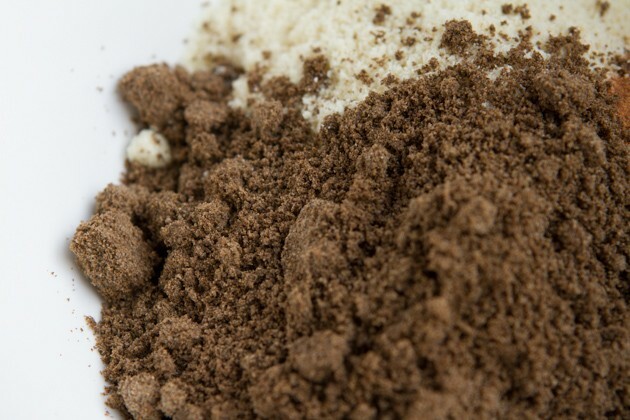 I’m dying to know… think you’ll give this cricket flour thing a try? Have you heard of critter eating before? Please, do your research about it if you’re curious. I have, and was amazed at how powerful this stuff is. Nutrient-dense, good for the environment, I like it!